Learn about 5 hidden file sharing risks you’re probably not aware of. User experience and security are essential features for any enterprise file sharing solution, but if they are the only things you're taking into account, you're putting corporate data at risk. 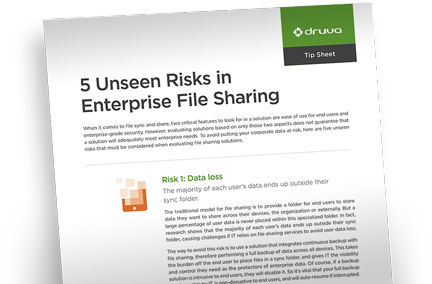 Access the tip sheet to make sure the file sharing solution you choose doesn't put corporate data at risk.